On August 3rd, 2018, Youtube posted a new update regarding copyright-safe songs. Alongwith this new update a new gallery of songs were added to the YouTube Audio Library which are copyright safe. Music copyrights have been an issue for a long time for youtube content creators. Mainly because most of the music already present on youtube is copyright protected. And creators require permissions from music creators to use them in their videos. But whats the loss here? Why does a youtube content creator need to put copyright-safe songs in his video? The answer is simple, monetization. Monetization does not apply to those videos that have copyright claims on them. Whether that be video or music content inside a video, you simply cannot monetize someone else's work without having their permission. So, to resolve this issue several music artists on youtube started uploading copyright-safe songs on their youtube channels and requested that users give them credits for it by posting their channel link in their video's description. Although the issue was resolved to some extent but the resources were limited and didn't have much variety. Also a lot of music creators started selling royalty free music but youtube came up with a solution of its own. A solution that would solve both these small issues, i.e., it would be free and youtube content creators would not need to put the URL of the music creator's channels in their videos. YouTube Audio Library is a collection of sound tracks ready to be used for youtube content creators. Most of the soundtracks are royalty free and free to use. 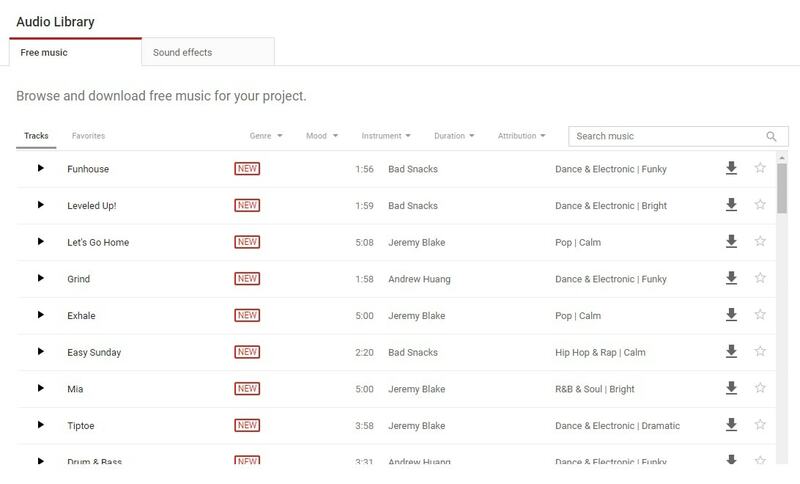 With this new update youtube has added several new songs to the list that are copyright-safe and royalty free. Youtube content creators can use these songs in their videos without being issued copyright warnings. Hope you liked the article about Youtube adding copyright-safe songs to the YouTube Audio Library. Don't forget to follow my blog Ali Khan Blogs on facebook & Twitter.